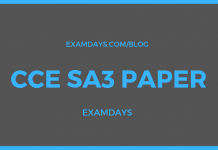 Employee State Insurance Corporation (ESIC) Exam/Question Paper 2018: Employee State Insurance Corporation conducted ESIC exam on November 3rd, 2018 in Computer Based Test (CBT – Online Mode), those who waiting for ESIC Question Paper / Exam Paper have to download from the below-given links and note down the important questions from below listed questions. These are questions are asked in the today ESIC questions. As we known that, ESIC has invited online application for 539 SSO / Manager-II / Superintendent vacancy Posts for 2018 -19 fiscal year and the last date of the online application completed, the ESIC SSO Exam date 2018 is going held after a month of the closing date of ESIC SSO online applications. The Prelims exam was conducted online within 60 minutes if time with 100 multiple choice questions in Hindi and English languages. How many Right Answers you attempted in ESIC? 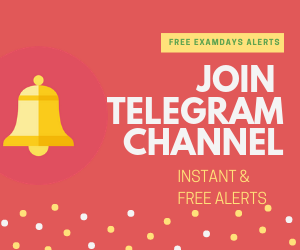 Employee State Insurance Corporation asked questions on November 3rd, 2018 from various sections, candidates have to download the complete questions as per sectional wise / Concept Wise. The ESIC examination was conducted in three below sections. If candidates have any questions or wanna add more questions here, comment below.